Facebook allows brands to connect with their loyal fans and build a bigger brand loyalty across the globe with just a few clicks of the button. Yes, Facebook marketing is powerful. If done correctly, you can easily reach thousands of followers with just a very small budget. While I could share dozens of advantages using Facebook marketing, we should also be looking at mistakes which could cost us dearly – either in the form of money or brand recognition. And if you know anyone who is doing these mistakes, feel free to forward them this article for their reading. At the very least, inform them to stop doing! I really don’t get it. I see marketers liking their own posts right after publishing them. It’s pretty obvious that it’s sad. It felt like no one is actually interested with your topic and you have to like it yourself just to see the ‘1 Liked’ wording. Yes – I’m guilty of this too. 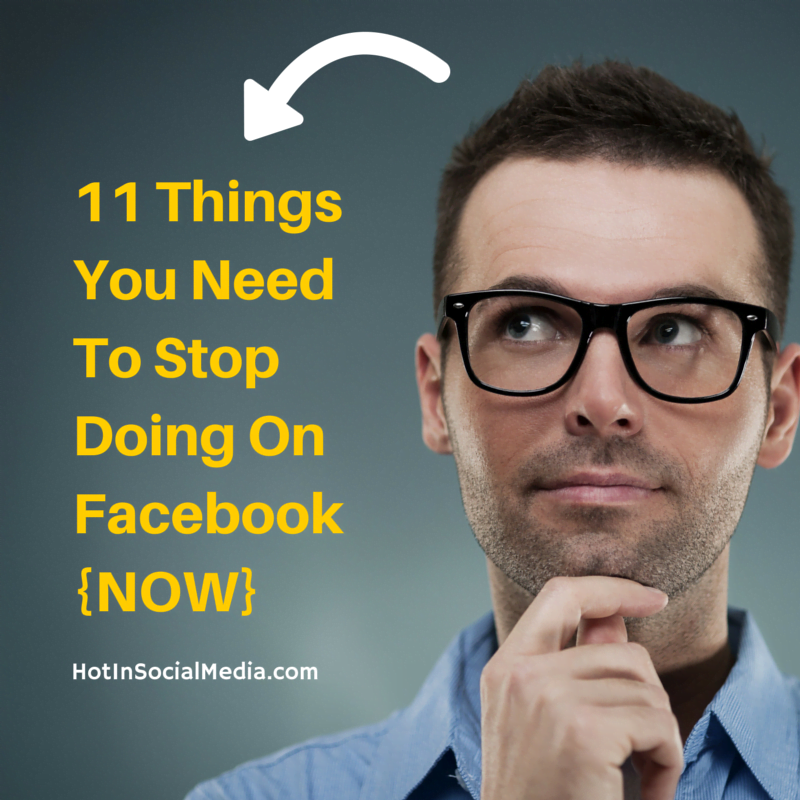 When was the last time you shared an information on Facebook more than a dozen times? Sharing similar post on Facebook is common but always avoid repeating it too often. Remember that it is all about quality and not quantity. This is annoying especially when you are a moderator of a Facebook group. From time to time, you will find members who use 3rd party apps to post spam in the group. If you are using these apps, please stop doing so. Not only this action could lead to permanent ban, you may even get bad names from it too! 4. Why are you tagging me? Are you tagging people randomly just for the sake of visibility? For Christ’s sake, you ain’t helping yourself in this form of social media marketing. If you have to tag friends in a Facebook post, do it only after you take deep consideration on the relevance of the matter. At times, even closest friends could feel annoyed with the endless tagging. You just started a brand new group and the member’s count remains at 1 (which is you). Sad and desperate, you decided to invite everyone in your list. Does the above sounds familiar? Allow me to explain to you why this is a huge mistake. When these kind people get invited into the group, they get every-single notification (based on their personal setting) from the group. And this is straight forward – spamming. Yes, cross-posting from one social platform to another could save you a lot of time. But trust me, it is not beneficial. Twitter is home to the 140-characters while on Facebook, you get multiple fold of that. The methodology for marketing itself on Twitter and Facebook is vastly different. Therefore, it makes absolutely no sense for you to cross-share the post between both these platforms. Really, trust me on this! How often do you ask your Facebook friends to like your shiny new page? Daily? Yes, you can invite them once (or twice at most). After that, start sharing posts on your pages directly from your Facebook profile page. This doesn’t only make the post more interesting as well as creating more value in your Facebook page. In most cases, people tend to like Facebook pages that offer information and insights – instead of purely promotional. You may have created a super app that will rock the nation. Sites such as Upworthy and BuzzFeed are going to write about you tomorrow. CNN and CNBC are going to schedule interviews with you in the following days. Bla, bla, bla. The above doesn’t give you free pass to send those apps invites as well. Even if you insist to send app invites to your friends, please be picky. Send invites to those who are most likely going to like the app instead of everyone in your list. If you are an avid reader like me, you may come across such nearly every day in your reading life. When you visit a website, a popup appear asking you to ‘like’ the Facebook official page. In the middle of the post, there’s another Facebook button to ask you to share the post on Facebook. You thought of sharing a comment and to your surprise, there’s a Facebook comment form (where comments are visible on Facebook timeline). Now, this is what I call Facebook marketing gone wrong. I absolutely get the point where Facebook marketing is powerful but it certainly didn’t give you the opportunity to constantly ‘promote on Facebook’. Facebook chat and message system are built to improve communication. However, there are some marketers who consider that as a mass communication tool. As an online marketer, you certainly do not want to erect unhappiness and most importantly, having others marketing your posts / messages as spam. 11. Organizing an event? Don’t send invite to everyone you know just yet! No matter it is a bachelor party or a reunion party, not everyone would appreciate an invite. At times, there are anti-social friends (like me) who really hate random event invites. If you had to send an event invite, make it personal by sending a private message to them. Of course, start with a 30-seconds rule where you ask anything aside from the event. Once you get the communication going, take the opportunity to invite them to the event you are hosting. There are etiquettes when it comes to Facebook (marketing or non-marketing alike). You certainly do not yell or broadcast every message to everyone. You need to be specific and aim for the right ones. Plus, when you are giving the right audience what they are looking for, they would come back for more even without you ‘inviting’ them.